Did you know that God is chicken?? Today’s reading from Luke is a story of the fox in the chicken coop. The fox is Herod the king. Some Pharisees came and said to [Jesus,] Get away from here, for Herod wants to kill you.” 32He said to them, Go and tell that fox… This is not surprising. In the story of Jesus, Herod is always the bad guy! But what is surprising is that in this story, Jesus is chicken—or, to be clear, a chicken. He says so himself! What’s even more surprising is that the chicken doesn’t run from the fox. In fact, in this story, the chicken expects to be killed by the fox: 33Yet today, tomorrow, and the next day I must be on my way, because it is impossible for a prophet to be killed outside of Jerusalem.’ 34Jerusalem, Jerusalem, the city that kills the prophets and stones those who are sent to it! In what situation would a chicken not run from a fox? That’s a question that unlocks the power of this story: Because of the chicks! Fact is, the hen would rush away from the fox to safety if it were just her. But it’s not just her. How often have I desired to gather your children together as a hen gathers her brood under her wings. But we miss the power of this love story if we imagine that it is for us merely to be grateful for, to enjoy, or to admire from a distance. No, the power of this love story always is its invitation for us to imitate. How easy it would be to embrace the idea that God is the mother hen, and we are the chicks who take shelter under the wings of the mother hen. But to be a follower of Jesus means more than just following along behind the mother hen and taking shelter. It means learning from her example and imitating that example. As Jesus became the mother hen, so also are we called to be the mother hen! Did you know that human beings also are chicken? This use of the word “chicken” is more familiar, right? I remember as a child that it was often in the form of a dare. “I dare you to…” And if I didn’t take up the dare, I would be taunted with, “Chicken!” It was an especially effective form of peer pressure—some might even say bullying. To be “chicken” is to be fearful. It is not a badge of honor. According to our gospel love story, it is precisely fear that is the enemy of love. We can even say that giving in to fear is the opposite of giving in to love. Our scripture writers spill a lot of ink on this point. Fear is the major human road block to faith. Fear is the major obstacle to practicing love. In today’s reading from Genesis, for example, the word of the Lord came to Abram in a vision, “Do not be afraid, Abram, I am your shield….” You can do your own internet search of the words “Do not fear” or “Do not be afraid” throughout the Bible and discover just how central this message is. We could even say that the entire Christian message can be boiled down to “the power of love over the power of fear.” Are we the chicken, the hen that longs to gather her brood under her wings? Or, are we just… chicken? This is a question that is answered countless times every day by our thoughts, words, and deeds. 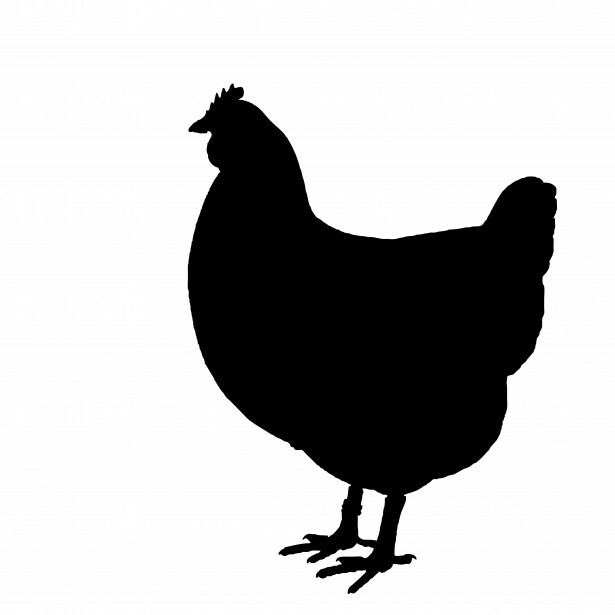 One of the great tests is how closely we imitate the hen. The hen’s wings are wide enough to cover her whole brood. We find in Jesus’ example and teaching that these wings are immense. It is not just a select few that the mother hen loves. It’s the whole human race, the whole creation. The place to start is at home. In today’s story, Jesus’ heartfelt lament is for his own people, and he aims his message at the very heart of political and religious power. But it is exactly there that he finds little interest in the power of love. 34Jerusalem, Jerusalem, the city that kills the prophets and stones those who are sent to it! How often have I desired to gather your children together as a hen gathers her brood under her wings, and you were not willing! And you were not willing. The mother hen longs to gather all people, but not all are willing. Who sides with power and fear? Who stands for love? Jesus seemed to have little confidence in Jerusalem, little confidence in patriotic zeal mixed with religious zeal. Drawing close to the mother hen, in fact, will shake up our loyalties. Today, for example, we followers of Jesus may find that we have more in common with 49 Muslim brothers and sisters—those who died when a fox entered their hen house of worship–than we have in common with many American Christians motivated by nationalistic, religious, fear-driven zeal. In the season of Lent, we remember where God’s love story leads. It leads to a cross. The only way that the power of love prevails over the power of fear is that love gives its life away. A good place to start is at home, with our own souls. We examine our hearts and acknowledge the ways in which we are chicken. And like Abram before us, we hear both assurance and challenge: Don’t be afraid. Or, be afraid—but don’t let fear rule your life! In the presence of the mother hen and by the example of her love, over time we become…less chicken.